Dollar vans are an alternative transportation service that is fast and cheap. Our app is now live! Check driver reviews and leave a review for your driver below. Everything you need to know about dollar vans. 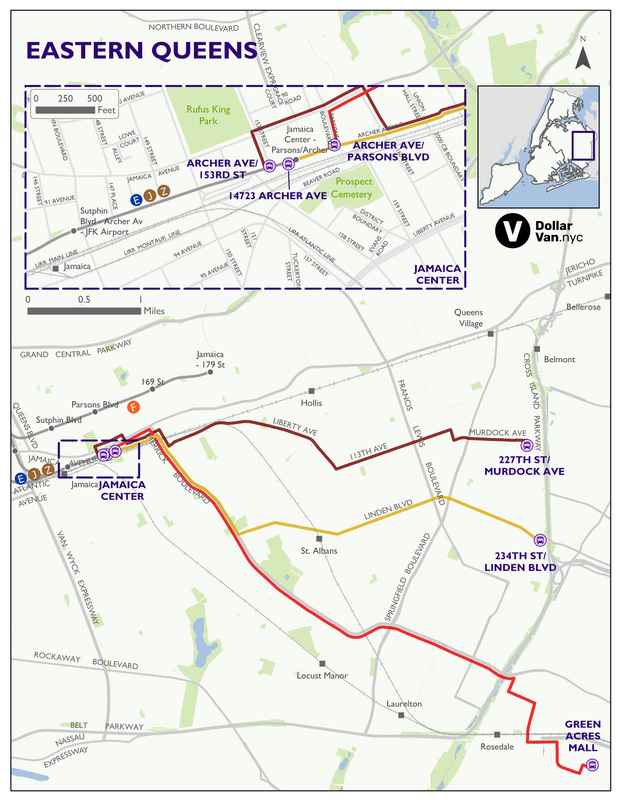 View route information for dollar vans. Current progress and upcoming features. You can board dollar vans at designated stops, or hail them just like a taxi. 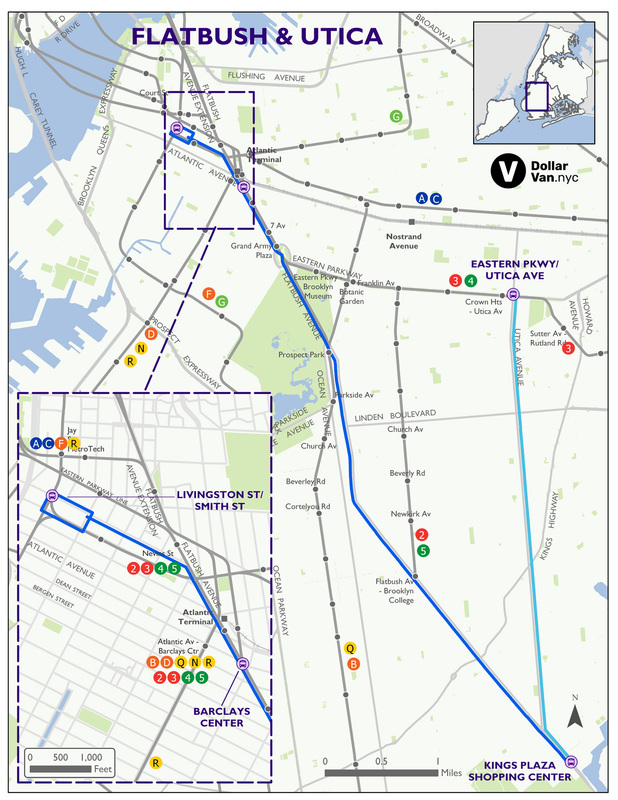 Queens, Flatbush: you can request a drop-off anywhere along the route. 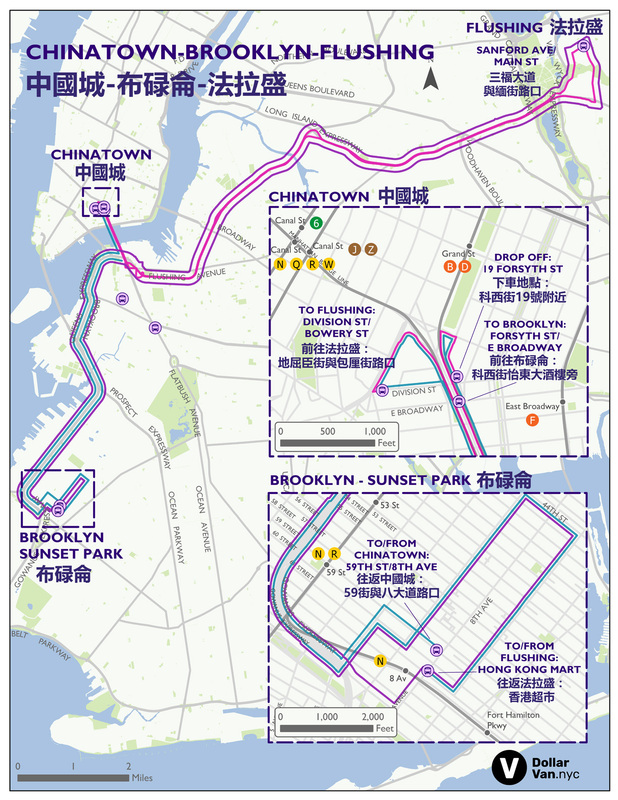 Chinatown, Flushing, Sunset Park: you must board and depart at designated stops. Pay your driver before or after your ride. Chinatown, Flushing, Sunset Park: $3-4. Riding Licensed Dollar Vans makes your ride safer. TLC (NYC Taxi & Limousine Commission) runs background checks on all drivers. Vehicles must meet strict safety standards. 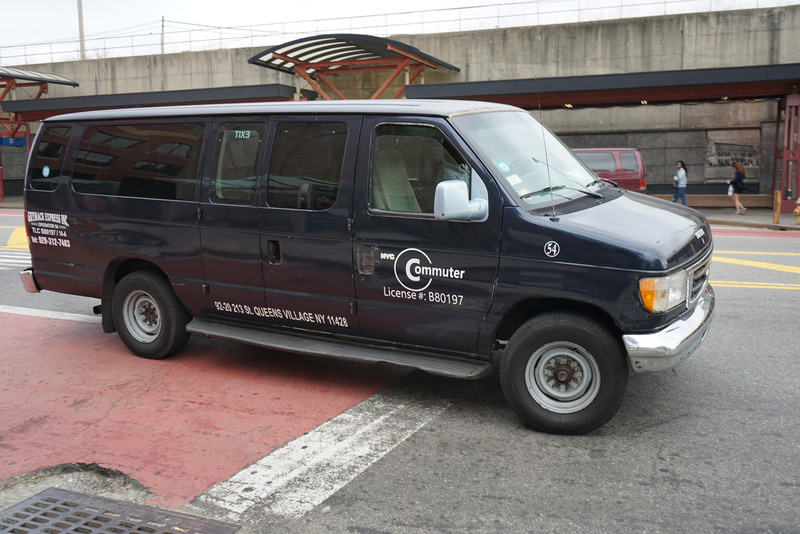 Commuter Van operators must meet proper insurance and licensing requirements. TLC blue diamond decals: located in each rear passenger door, the windshield and the rear door window. TLC-issued license plates: that either begin with T and end with C, or end with either: LV, LB, LA, or BB. 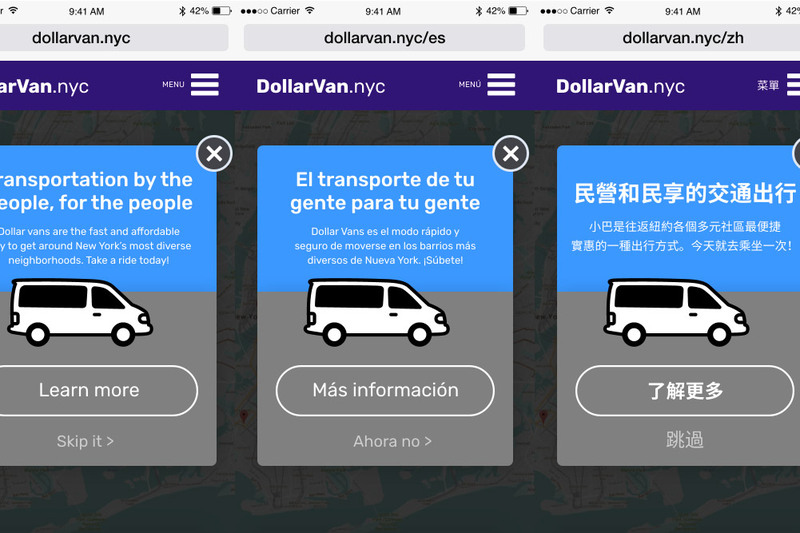 [D]ollar vans and other unofficial shuttles make up a thriving shadow transportation system that operates where subways and buses don’t—mostly in peripheral, low-income neighborhoods that contain large immigrant communities and lack robust public transit. 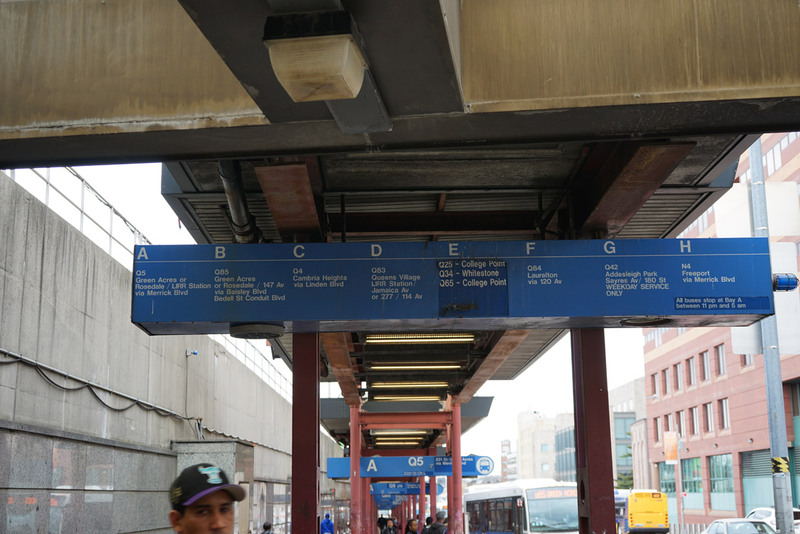 New Yorkers who live close to the center of town are mostly affluent and have great transit options connecting them to a wealth of job opportunities. On the edges of town, people are not quite as well-off, and most can get to work by driving their own cars. 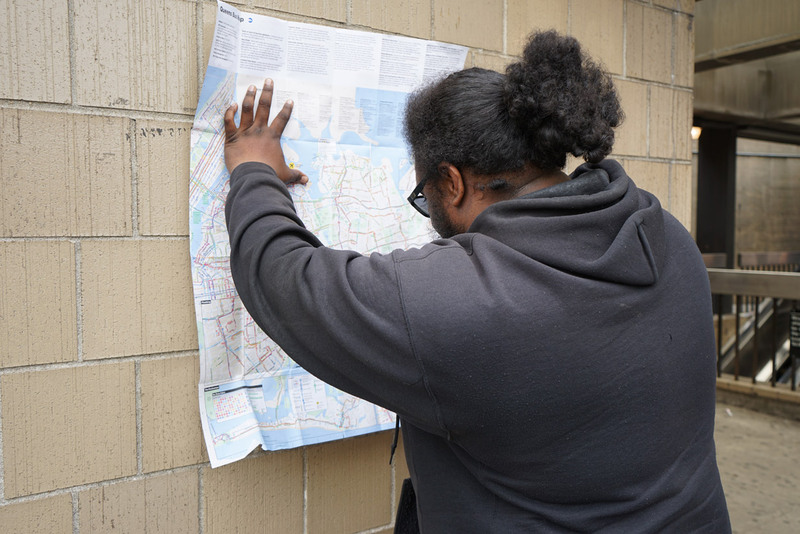 In between are the least affluent neighborhoods, where New Yorkers rely on transit but the number of jobs accessible by train or bus is much smaller than in the city core. The relationship between transportation and social mobility is stronger than that between mobility and several other factors, like crime, elementary-school test scores or the percentagjn of two-parent families in a community, said Nathaniel Hendren, a Harvard economist and one of the researchers on the study. 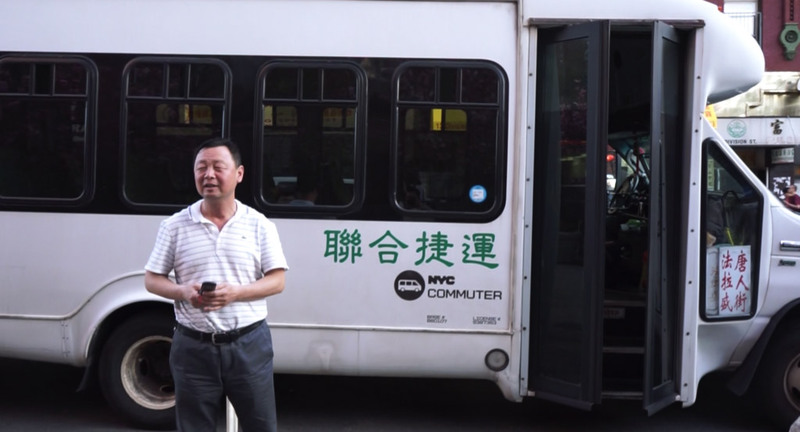 Immigrants comprise a large and growing segment of the population, and are twice as likely as native-born workers to commute by public transit. In California, for example, immigrants comprise just over a quarter of the population (27 percent), but more than half of all transit commuters. The nation’s crumbling infrastructure makes it hard for those living in poverty to access jobs, quality groceries, and good schools. 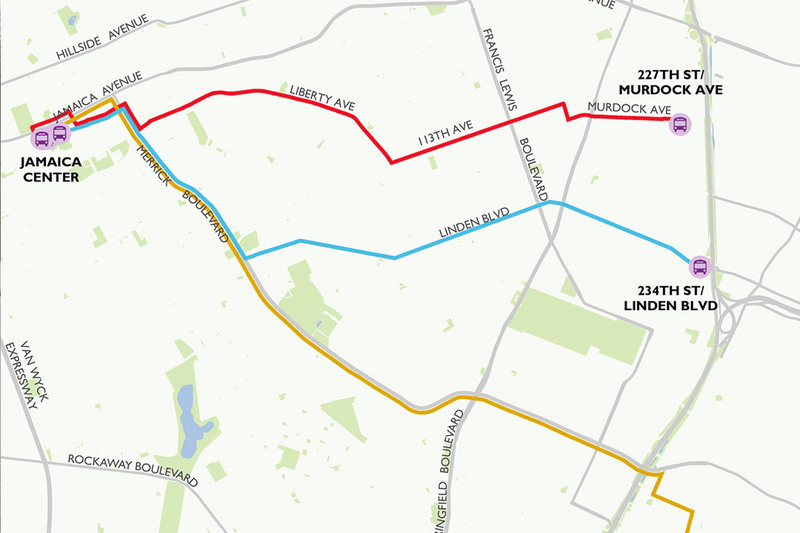 Limited transit access is linked to higher unemployment. Neighborhoods with some, but insufficient transit access – those in the middle third – faced higher rates of unemployment than those in the top or bottom third. Van icon created by shashank singh for The Noun Project.